Hey MIUIer’s, how have you been. Today I will be showing you how you can remove MI Account Forgotten Password or bypass MI Account. I will be showing you two method. One is official from Xiaomi and the other I found on Internet. Step 1: Firstly you will need to send a mail to this email ID: [email protected]. In the mail you will need to provide the Xiaomi account details and a snapshot of the device. Also you need to mention the reason why you want to delete it (Try to give proper reason). The staff will delete the account after they’ve confirmed the bounded email address. My self Chetan Pujari, a Xiaomi phone user. Now I am using Xiaomi Mi 5 32/3 GB Qualcomm Snapdragon version. I have accidentally deleted my Mi Account without log out from my device. 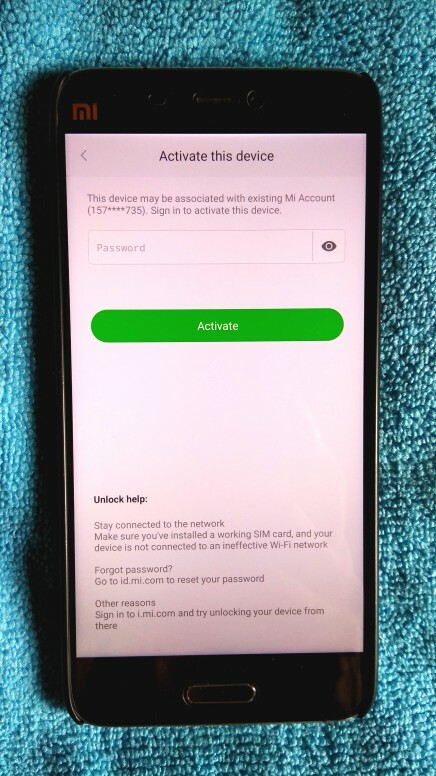 After restart my device got stuck in a screen which is saying “This device is associated with an existing Mi account ID”. But I can not able to reset password as the account is deleted. Please help me to unlock my device as soon as possible. Step 2: After that you will receive a mail from Xiaomi Global, they will generate an unlock code which will be displayed in your mobile screen and they will ask you to send this unlock code to them. Step 3: After that you need to send this unlock code to them by using reply option (eg. Unlock Code: XXXXXXXX). If you don’t have a bounded email address, but only a phone number. You’ll need to go to https://account.xiaomi.com/pass/serviceLogin to make a screenshot of the page with your Xiaomi account and the bounded phone number, and send it to [email protected]. This way they’ll unbind the phone number, but will not delete the account. If you need to delete the account, you’ll need to bind an email address with the account first. Note: This is unofficial method and you will lose all you data. Step 1: For this method you will need a PC/Laptop and ADB Driver Installed. Step 2: Wipe Data from Recovery from your device. Click here if you don’t know how to do it. (Skip this step if you have already done this). Step 3: After doing wipe data turn on your phone Select country & language according to your preference and choose Gboard as keyboard, then connect to your WiFi and don’t click on Next. Step 4: After connecting to WiFi click back button. Now we need to turn on USB Debugging on your phone. To do this continue to step 5. Step 6: Click on Search box and search for Settings and select Settings App. Step 7: Select on About phone and tap on MIUI version 5 times and turn on Developer Option. Step 8: Click back button and and select Additional Settings > Scroll Down > Select Developer Options > Turn On OEM Unlocking & Turn On USB Debugging and click OK. Step 9: Connect your phone with PC/Laptop with USB and click OK to Allow USB Debugging. Step 10: Now open cmd on your PC/Laptop and type adb shell and hit enter. You will get a message * daemon started successfully *. Step 11: And then type below text in cmd and hit enter. You will get a message Success. Step 12: Now click Next Next Next. When you are on Sign in to MI Account just click on skip and that’s it. If you still didn’t got this tutorial then check out the video below. Step 1: For this method you will need a PC/Laptop and ADB Driver & MAD Tool Installed. Step 2: Wipe User Data & Cache from Recovery on your device. Click here if you don’t know how to do it. (Skip this step if you have already done this). Step 3: After Installing this files you need to Boot your device into Fastboot mode. (Press & Hold Power + Volume Down Button to boot into fastboot mode). Step 4: Connect your phone to PC/Laptop through USB Cable. Step 5: Now Open ADB Setup and select yes for every step. Step 6: After that extract Mad Tool to any folder and run MAD Unlock Tool as Administrator. Step 7: First check your your device is connected or not by clicking on other option >> scan device and select fastboot mode. Step 8: If connected you will see your device id. Step 9: If everything is fine, click on the 4th Option Xiaomi Mi Account Remove. Step 10: After this your device will reboot automatically. And it will take sometime to reboot your device. Comment down below which method worked for you. How to Enable Live Wallpaper on any XiaoMi Devices! To enable OEM Unlock you have to change the date and time to 10 to 20 days earlier. First go to date & time and disable automatic date & time and then set the date to about 10-20 days earlier. Which phone do you have? And did go into fastboot mode before connecting USB. This method is helpful. I tried with this tool. Hi I have tried this process. This Process is very helpful to all xiaomi users. Work for me ( xiaomi mi 4lte ), thnks. All About Xiaomi provides an independent source of news, guide, tricks, apps and more to the Xiaomi ecosystem.